TWIN FALLS, Idaho – The Bureau of Land Management Shoshone Field Office will implement seasonal motorized use closures in the Wood River Valley beginning Dec. 1, 2017, and ending April 30, 2018, to protect deer and elk. “Nearly every winter season causes elk and deer to work harder for their food and shelter,” said Shoshone Field Office Outdoor Recreation Planner John Kurtz. 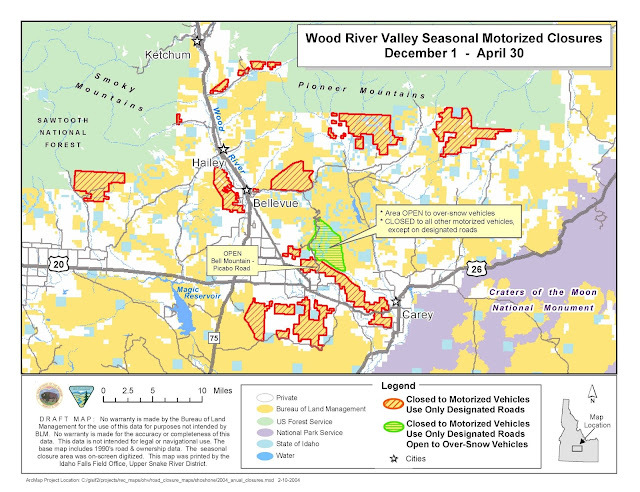 “These seasonal closures help to protect animals that find refuge within these areas. It is important to help minimize human-related stress on wildlife.” The seasonal closures are for BLM-managed land only. The BLM encourages the public to carefully gauge their actions when recreating this winter to minimize impacts to deer and elk that could be in the area. “Motorized and non-motorized recreationists disturb wildlife and cause them to expend vital energy that is needed for survival,” said Kurtz. “When deer or elk are encountered during an outing, it is important to respect the animals and view them from a distance so that noise or close proximity will not cause additional stress." The BLM patrols these areas to monitor and enforce closures. 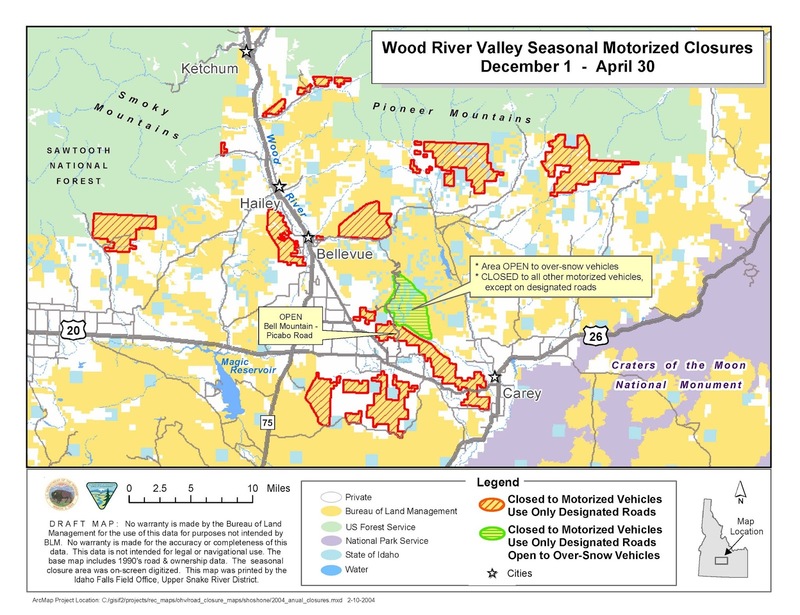 A map detailing the closures within the Wood River Valley is attached and hard copies are also available through the Shoshone Field Office at 400 West F Street in Shoshone. For additional information, please contact Outdoor Recreation Planner John Kurtz at (208) 732-7296. The BLM manages more than 245 million acres of public land located primarily in 12 Western states, including Alaska. The BLM also administers 700 million acres of sub-surface mineral estate throughout the nation. The agency’s mission is to sustain the health, diversity, and productivity of America’s public lands for the use and enjoyment of present and future generations. Diverse activities authorized on these lands generated $75 billion in sales of goods and services throughout the American economy in fiscal year 2016—more than any other agency in the Department of the Interior. These activities supported more than 372,000 jobs.